With the growth of new applications, there is a rapidly increasing demand for new and more sophisticated sensors. Nicolas Sauvage, Sr. Director Ecosystem at InvenSense explains why. The increasing variety of applications for the Internet of Things (IoT) and Industrial Internet of Things (IIoT) and their growing adoption, are driving predictions that the sales volume for sensors will reach 75 billion units by 2025. It would be fair to assume sensors will eventually become commodity components. As machine learning grows in importance, these increasing numbers of sensors will need to be more intelligent and capable. Use-cases unforeseen just five years ago are driving the development of sensors with unprecedented performance. A growing number of applications have emerged in consumer markets. With imaging, for example, consumers are now looking for a level of photo quality in slim smartphones that had earlier only been possible with expensive and bulky DSLR cameras — and this while walking, if not running. To achieve such image quality, with the limited optics that can be accommodated in such a tight space, OEMs have deployed Optical Image Stabilization (OIS) and Electronic Image Stabilization (EIS) solutions. The performance of the OIS/EIS components, especially the motion sensor, has a major impact on overall performance. For example, the Google Pixel 3 device, which has a camera with both OIS and EIS, received a DXO Mark score of over 100 from DxOMark Image Labs, never given to a smartphone until 2018. 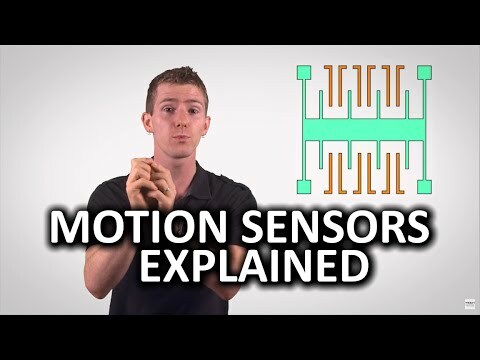 The technology that led to the high performance is a motion tracking sensor that has extremely low gyroscope and accelerometer noise (<0.004 dps/√Hz and <100µg/√HZ respectively) and sensitivity error within 0.5%, while having very high temperature stability (within ±0.016%/◦C maximum) given the fast temperature change constraints. It is not just cameras that require such precise motion sensor performance. Virtual reality (VR), augmented reality (AR), and mixed reality (XR) all need low noise and extremely good temperature stability. Dead-reckoning systems are used for navigation in both consumer and commercial applications. They provide location data in the absence of GNSS/GPS signals by means of Inertial Measurement Units (IMU), which used linear acceleration information derived from accelerometers and angular rotation rate from gyroscopes to calculate altitude, angular rate. linear velocity, and position. The accuracy of these measurements is critical because errors are additive — they increase over time. For high-precision navigation, a gyroscope needs to have extremely low gyro offset over temperature (between 3 to 5mdps/oC) and gyro noise density (below 4mdps/√Hz). A promising consumer application for dead-reckoning, is to sense one's location inside a shopping mall. It is particularly challenging to sense the floor someone is on. It would allow users to know which shops are near them. More importantly, it could save time and lives by providing emergency services with the specific floor and location where the mobile caller requested help, rather than searching floor by floor. This can be achieved with high-precision, low-noise pressure sensors that can measure individual stairs. This is now achievable because pressure sensors are available that can go as low as one Pascal, or about 10 cm in precision. In many cases, sensor performance is application-driven. For example, drones care more about bias, time, and temperature stability, while house-cleaning robots will care mostly about bias stability and noise. Virtual Reality (VR) stand-alone head mounted devices (HMD) will need exceptionally good temperature linearity and stability, as well low hysteresis and noise to provide the best possible user experience. For the very high precision required by VR and Augmented Reality (AR) controllers, sensors will need to have high resolution to be able to accurately handle the slow and precise movements of a hand. For the Industrial Internet of Things (IIoT), including the manufacturing, automotive, and aerospace sectors, requirements are generally an order of magnitude more demanding than for consumer applications. For example, inaccuracy for consumer applications can typically be 1000ppm (parts per million) and for automotive and IIoT, 100ppm. For precise navigation, to take one example, vibration isolation for sensors is extremely important. The extreme vibration experienced by a driverless agricultural tractor can cause navigational errors because of its effects on the motion tracking sensor. To deal with this problem, navigational grade solutions require bias stability of below 2°/hr for gyroscopes and below 10µg on Accelerometer side, while an ARW (angle random walk) of 0.084 °/√hr and VRW (Velocity Random Walk) of 0.016 m/s/√hr. Beyond just sensor performance, it is also important to have very little misalignment errors and mounting errors, less than 0.05° for both. The good news is that silicon MEMS allow lower cost structures than piezo, with batch processing, and this has opened new markets in low-cost sensing alternatives for these demanding applications. “Industry 4.0” drives production towards constant and permanent monitoring of a large and increasing number of processing parameters. Sensors are integrated in new production equipment, but they can also be added to older equipment to allow for machine health monitoring. Online monitoring, instead of monthly manual read-out, brings clear benefits and ROI: reduced downtime by as much as 70%; extended motor lifetimes by up to 30%; reduced energy consumptions by up to 10%. Indeed, like a person, it is always better to catch the symptoms early than wait until they get too severe. Take the example of a sensor's potential to address more use-cases than ever before by ‘simply' improving one of its performance metrics by an order of magnitude: the pressure sensor's noise, measured as Pascal RMS. When you can achieve a pressure noise at the level of one pascal, you are able to detect stair steps of 18cm very easily - and this drives new use cases not possible before. New use cases could include activity monitoring and calories counting, improved flight control for drones, improved interior routes and travel time, rapid emergency response in the right floor of your building and more. Microphones are also increasingly deployed in our homes, with smart speakers having multiple microphones; for example, the Amazon Echo has seven microphones. You can easily imagine a future where a family has more than 100 microphones inside their home. These devices require very high-performance microphones, with a signal-to-noise-ratio (SNR) of more than 70 dB, while having an acoustic overload point (AOP) of more than 120 dB. A good example is ICS-40730 that provides 74dB SNR and 123dB AOP. This allows the microphone to still listen to everything happening near the smart speaker even in the presence of loud noises, like a door closing too hard, or a TV playing an action movie too close to the smart speaker. Another category of IoT and IIoT is machines that move, such as self-driving cars, service robots and industrial monitoring drones. For them to be able to “see” their surrounding precisely and avoid obstacles is increasingly important, in addition to cost and size. Range finding or time-of-flight (ToF) sensors are starting to address these applications better and better, with some using ultrasonic methods to measure distances up to five meters very precisely. Ultrasonic technology also allows new use-cases in industrial or consumer contexts with fingerprint sensors that can work well even under metal or plastic, allowing for more challenging environments to provide secure access via fingerprint. For example, challenges such as security requirements, needing both false acceptance rate (FAR, or giving access to an unauthorized person) of at least one to 50,000 and false rejection rate (FRR, or not giving to the authorized person) of less than two percent, are still met with ultrasonic solutions, and are actually better than traditional solutions for use-cases like people using wet fingers after washing their hands or getting out of the shower. The examples covered in this article are only a few of many use-cases that require increasing performance from many sensors, on various, and many times different, performance KPIs. Innovation is simply the way forward to address these demanding expectations, and it won't be long before digital experiences are humanized by sensors across all industries. Nicolas Sauvage is Sr. Director of Ecosystem at TDK-InvenSense, responsible for corporate development and all strategic ecosystem relationships, including Google and Qualcomm, and other HW/SW/System companies. Nicolas is an alumnus of ISEN, London Business School, INSEAD and Stanford GSB.